The common challenge of the programme area is related with the growing requirements of industry for workers’ skills and competences. The region lacks engineering specialists, who would have specific abilities, related with new technologies (CAD/CAM designing, CNC machines and industrial robots), skills and knowledge necessary for creation of innovations. This limits the development of business, establishment of work places and restricts sustainable development of the region. The overall objective of the Project is to develop and improve lifelong learning activities in industrial sector to support labour market competitiveness and promote technological progress in Northern Lithuania–Southern Latvia region to make it more attractive to live and work. LT Bendras projekto tikslas – sukurti ir tobulinti mokymosi visą gyvenimą veiklas pramonės sektoriuje prisidedant prie darbo rinkos konkurencingumo didinimo ir technologinės pažangos skatinimo šiaurės Lietuvos ir pietų Latvijoje regione ir siekti, kad regionas taptų patrauklesnis dirbti ir gyventi. LV Vispārējais projekta mērķis ir attīstīt un pilnveidot mūžizglītības pasākumus rūpniecības nozarē, lai attīstītu darba tirgus konkurētspēju un veicinātu tehnoloģisko progresu Ziemeļlietuvas -Dienvidlatvijas reģionos. Projekta ietekme uz vidi – reģions būs pievilcīgāks dzīvošanai un strādāšanai. The main project outputs will be produced: 1. Improved study/training facilities, learning resources and teaching. 2. 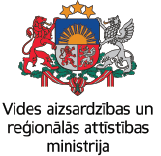 Supplied competencies and skills meeting the industrial sector’s needs in Northern Lithuania–Southeastern Latvia regions. The main beneficiaries of the project’s outputs are people seeking industry demanded skills, education institutions and industrial companies. Cross border collaboration, while creating the cooperation network, is necessary in order to acquire and exchange new knowledge and the best practices, to foresee and integrate the labour market needs, to use the available infrastructure and human resources jointly. In order to foresee and emphasize skills and competences, necessary for contemporary specialist, the cooperation among higher education institutions, industrial enterprises and public sector remains insufficient and fragmented. This project aims to renew and join teaching infrastructure of the project partners as well as their competences – this has not been done in the region till now. Siauliai University Library, Vytauto st. 84, Room 412.